Within the gates of Punta Mita in the Porta Fortuna enclave, this gorgeous 4-bedroom villa has incredible views of Bahia de Banderas and the Marieta Islands. 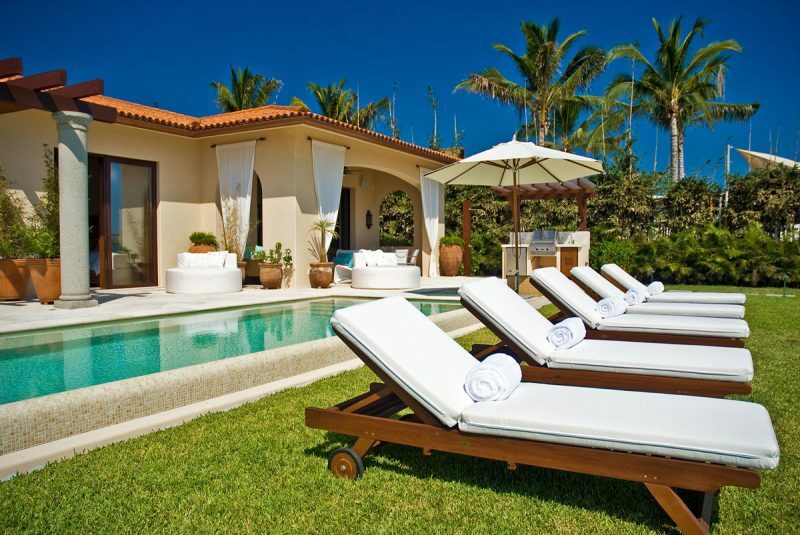 On the shores of the Pacific Ocean within its own gated community the villa gives guests extraordinary privacy, luxury and access to Punta Mita’s wonderful lifestyle. That includes play on two Jack Nicklaus Signature Golf Courses, as well as access to the Tennis Pavilion, the Residents’ Beach Club, and Four Seasons Resort and St. Regis Resort, whose restaurants are among the finest in Mexico. This villa is just a short stroll from Sufi, Porta Fortuna’s award-winning beachfront restaurant. A world-class vacation should steal you away as you desire and a stay in this villa does just that. Built on one level, this home has many indoor and outdoor places to gather with family and friends. Large sliding doors allow guests to open the villa to sea breezes and ocean vistas. Each bedroom has a flat screen TV and the Living Room and Media Room has a high def TV.